This Forever Friends nurses watch comes with two interchangeable straps so that you pick which colour best suits your mood for the day! 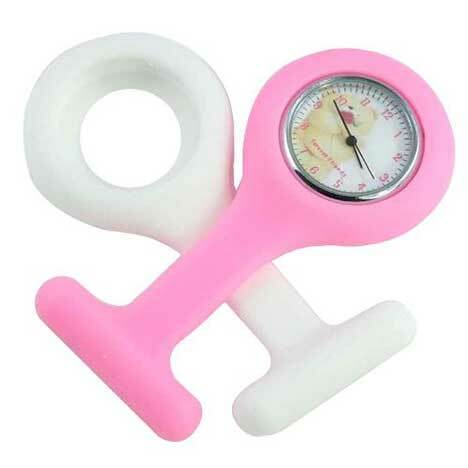 The smooth silicone fob watch skin itself is fully washable in soap and water and can be easily cleaned with alcohol gel. The time-piece can be wiped in a similar manner as the skin to ensure no spread of infection. Pin fastening suitable for all uniform types.